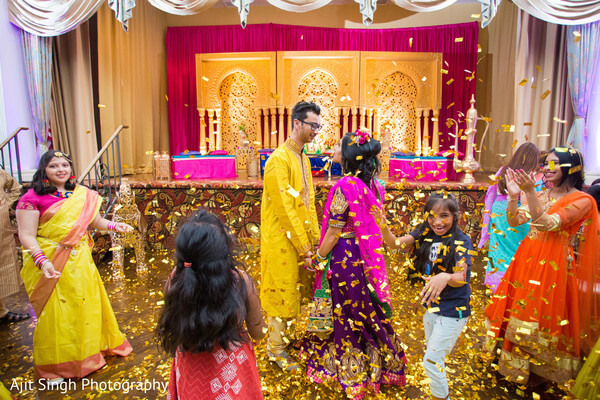 Rare times we see a big pre-wedding festivity as the one Ishrat and Syadur held as part of their amazing wedding celebrations! 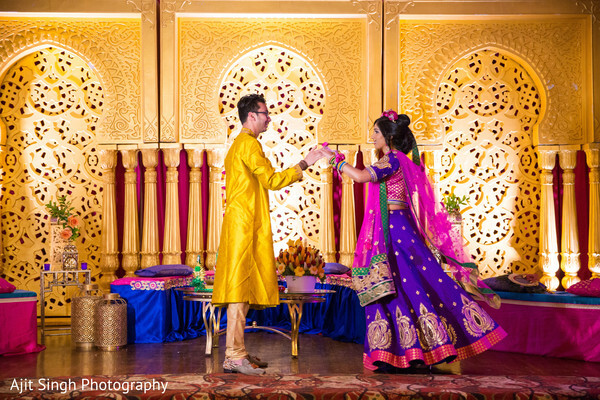 The Castle Royale opened its doors for all the couple’s loved ones to attend the Gaye Holud night, which was completely filled with joyful dances and fun! 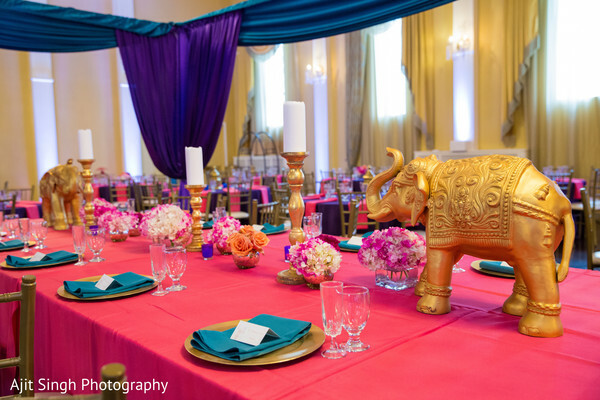 I can just imagine that the guests were blown away by all the lanterns and drapery! 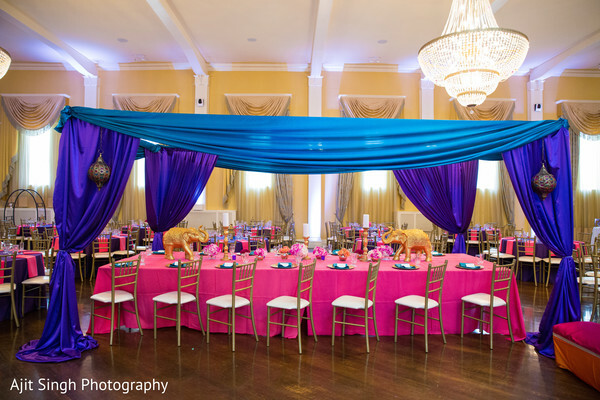 The production for this event was impeccable thanks to the creative touch of Royal Charms’ team! 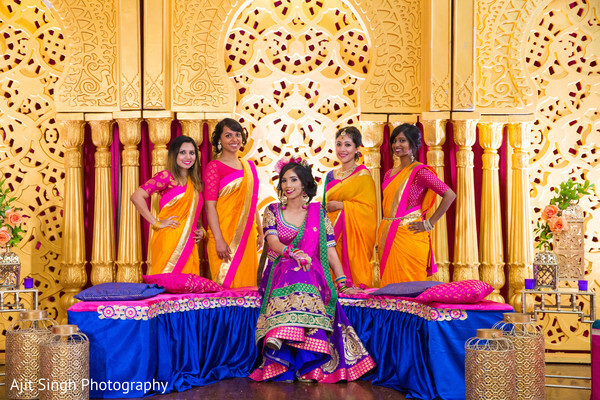 Two thumbs up for them and for the aesthetic tents in the center of the hall, excellent idea for an Arabian style event! 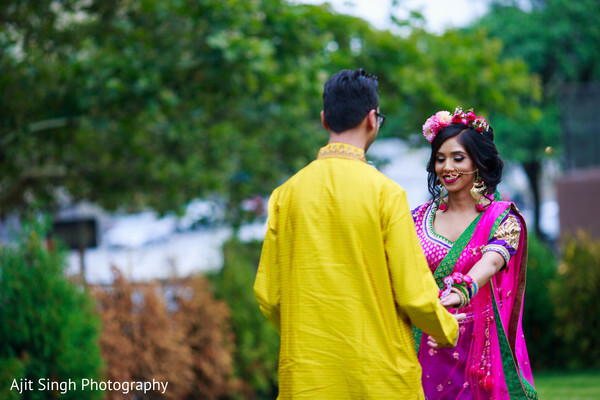 In this occasion, Maharani Ishrat wore a classic flower jewelry set and a sweet floral crown and groom Syadur went for a bright yellow outfit that made him really stand out amongst all the guests! 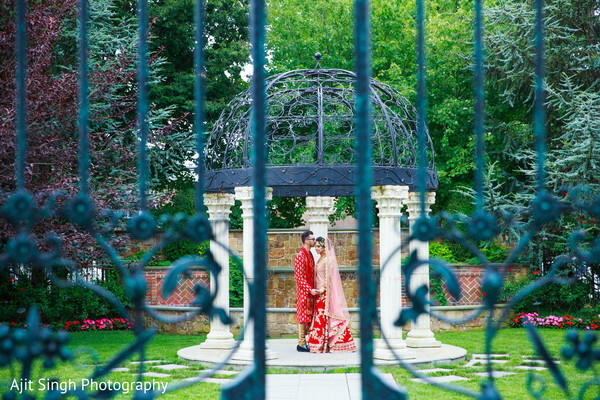 After the official inauguration of the wedding festivities, the bride and groom headed to the beautiful gardens and accommodations of The Inn at New Hyde Park where the cameras of Ajit Singh Photography were ready to take the best photos of the bride and groom! 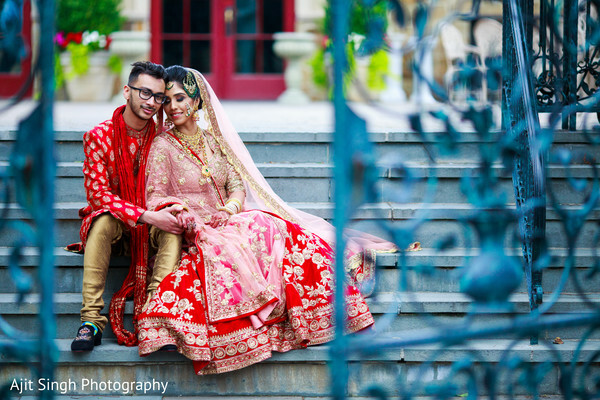 For her special photo shoot and wedding day, Bridal Rang Samiha brought the best out of the bride, who opted for a pearl pink dupatta and choli that perfectly suited her red lehenga skirt and the groom wore a beautiful red embroidered sherwani. 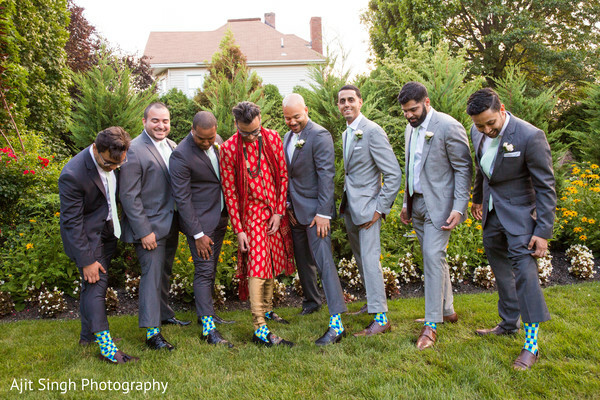 This well-dressed duo was in perfect sync and ready to say "I Do"! 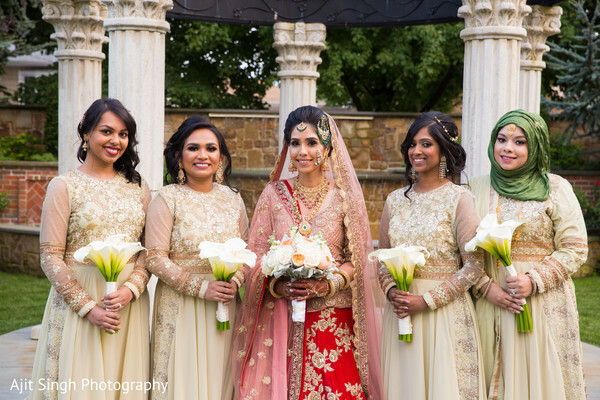 See more of this utterly delightful wedding in our full gallery! 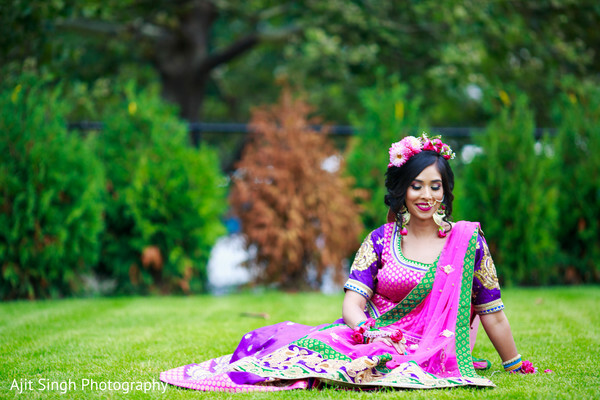 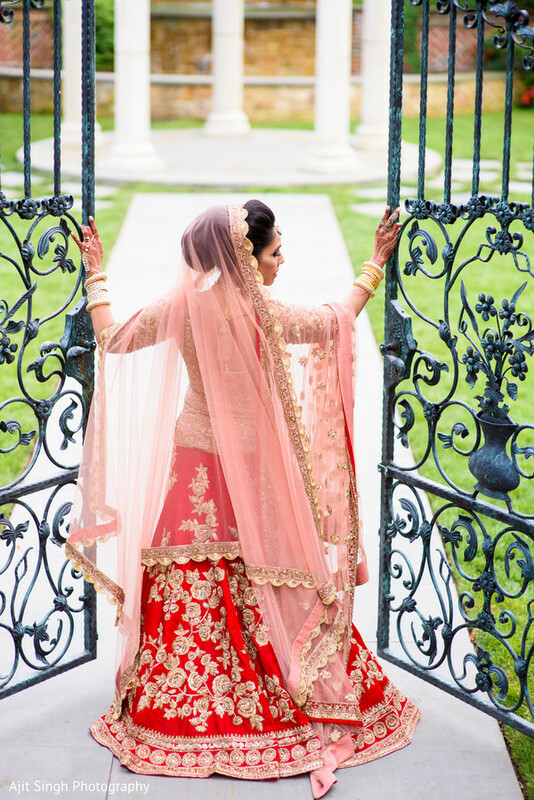 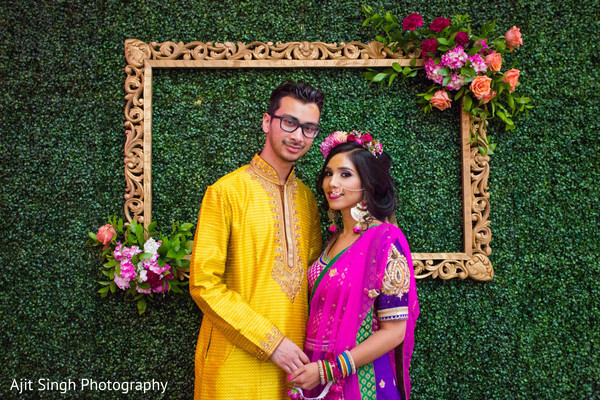 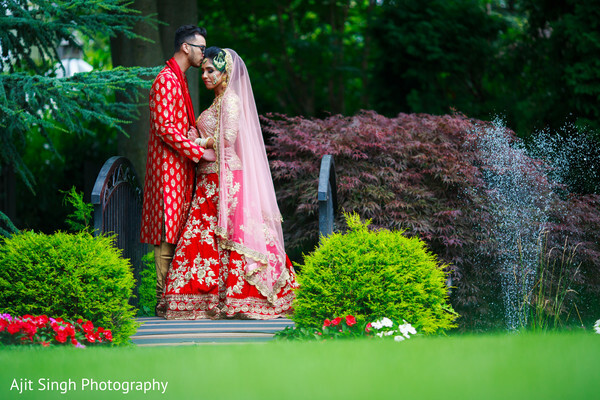 Can’t wait to see more of this inspiring Bengali-Muslim wedding? 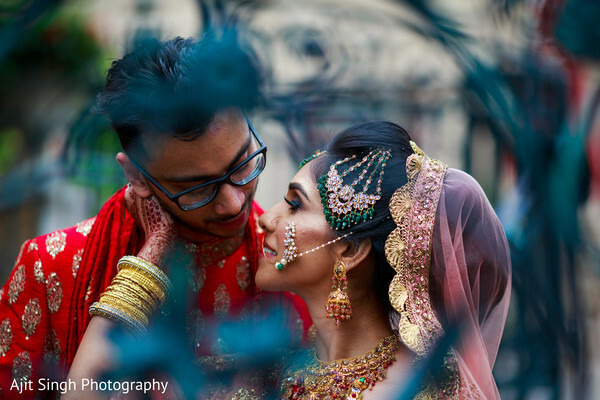 I'm so relieved the images are on their way!